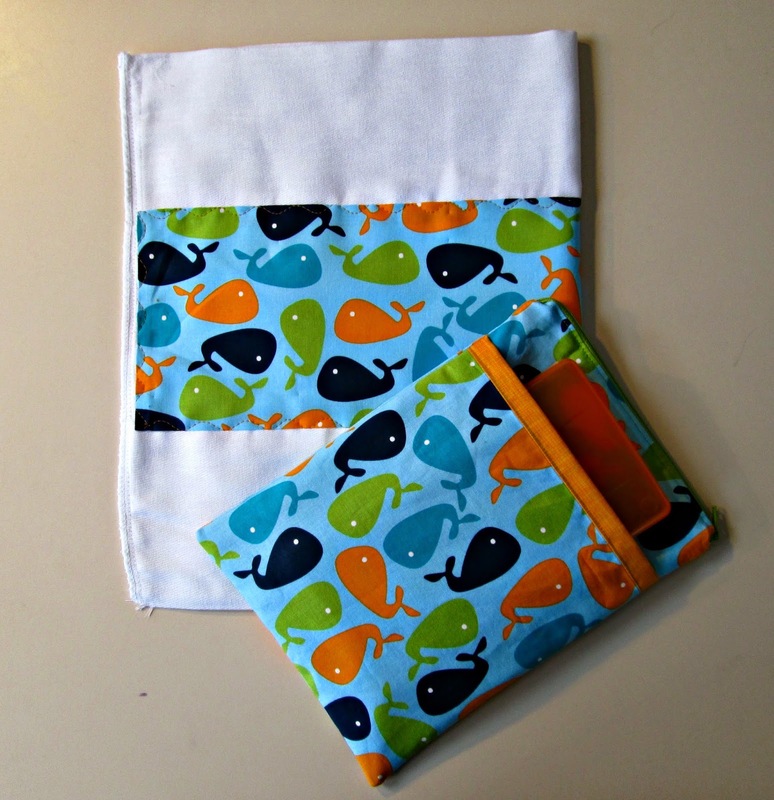 I was on such a roll finishing up the Baby Preppy the Whale quilt for my friend I decided I should also make her a little bonus gift. I went browsing in a high end baby boutique to get ideas and spied a cute little Wet Bag with a hefty price tag. 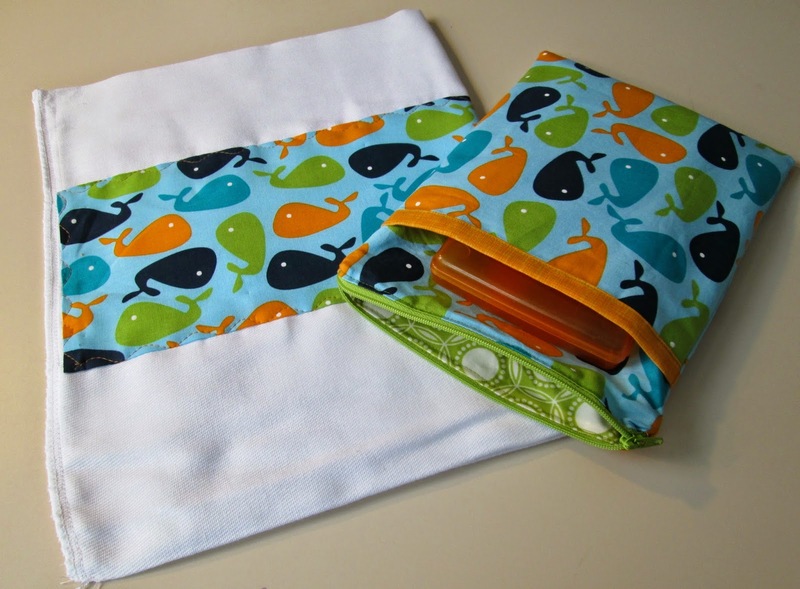 Obviously, I can make my own;-) This is sized to hold wipes, a diaper, and a spare outfit and has a waterproof lining for keeping those accidents contained. It's perfect for those times when you want to be prepared but don't want to drag your entire diaper bag around and so much classier than Ziplocks! This bag is loosely based on the technique used in the Gathered Clutch Tutorial by Noodlehead. I've included my own measurements and some additional directions so you can adapt it to make your own. 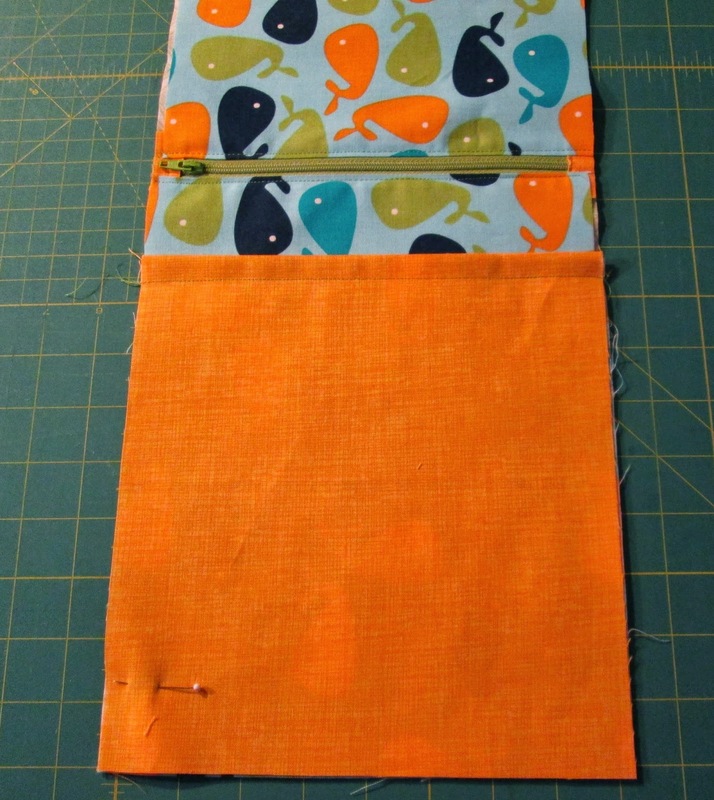 Make your pocket by aligning the exterior pocket and pocket lining along one 8 1/2" side, right sides together. 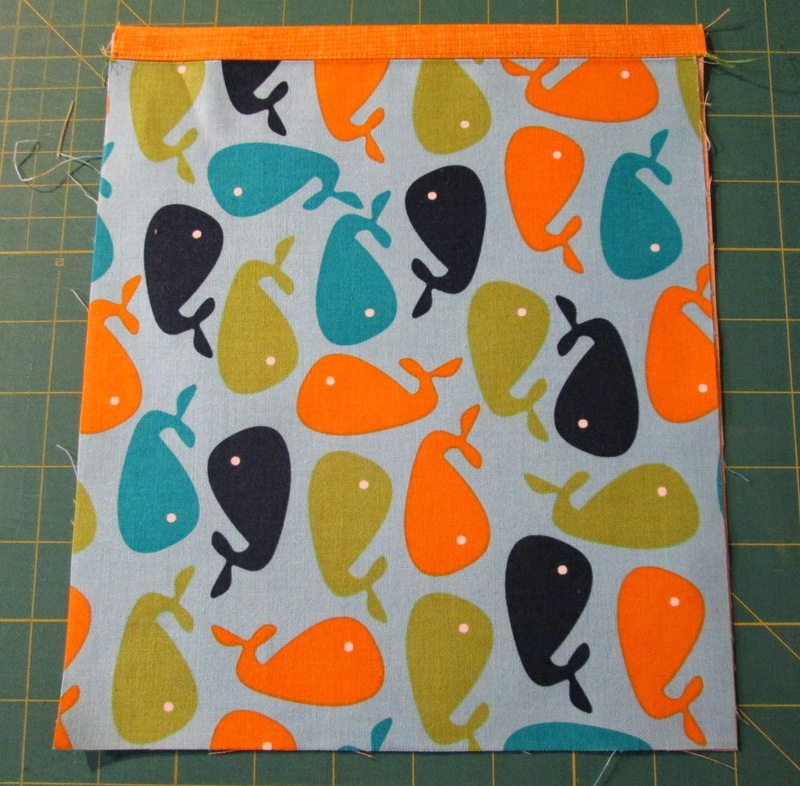 Stitch along the edge with 1/2" seam allowance. 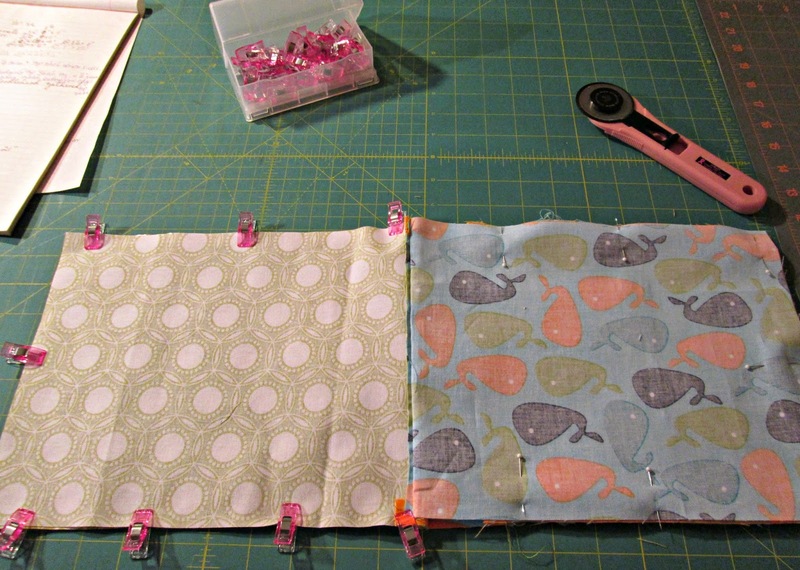 Press seam towards the lining and fold over wrong sides together matching bottom raw edges. Topstitch along the top edge of the pocket. 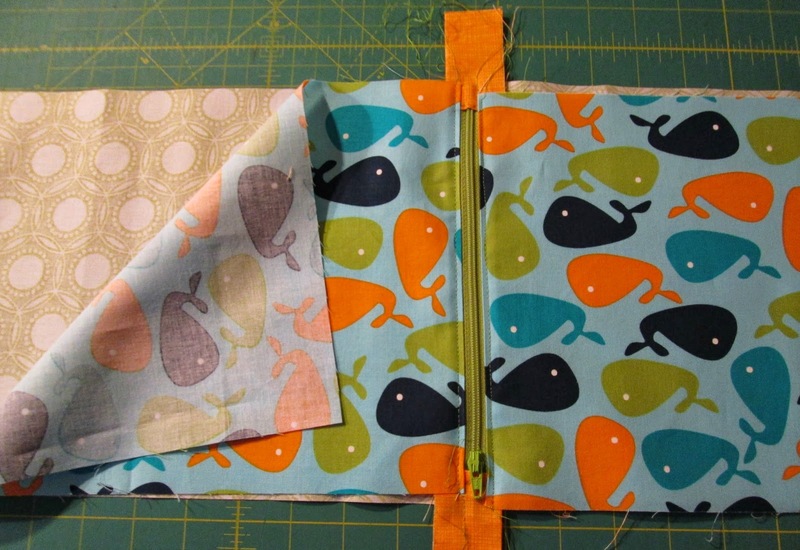 Follow the Gathered Clutch instructions for making the end tabs for your zipper and installing the zipper. STOP before sewing all around the edge!!! 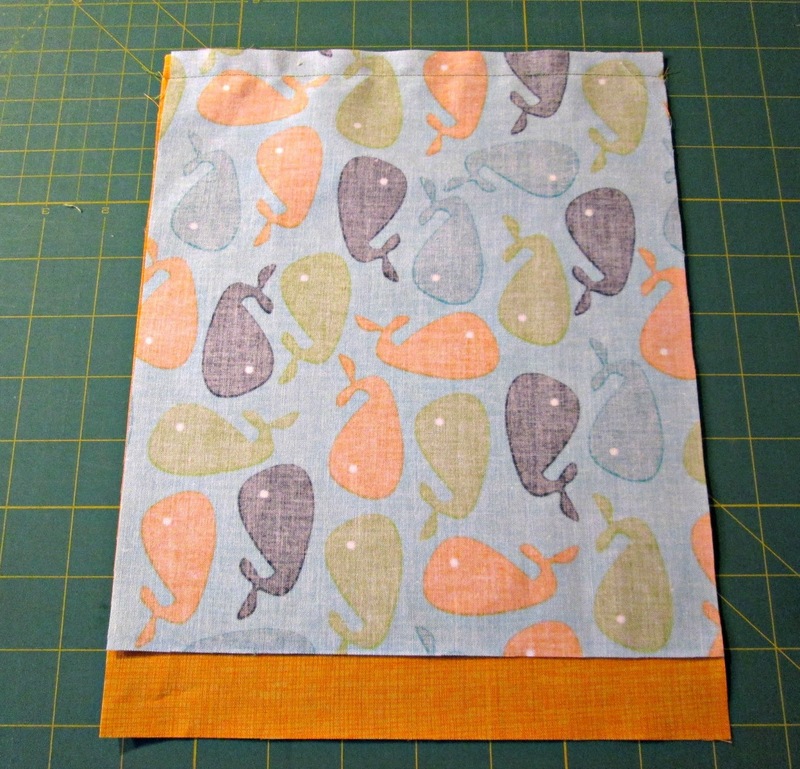 Add your pocket to the front of the pouch aligning the bottom raw edges with the exterior right sides together. Pin or baste your pocket in place. Be sure to OPEN your zipper before continuing! Now sew all around the edge leaving a small hole in the side of the lining for turning. Turn your bag right side and stitch the hole closed. Remember NOT to iron your laminated cotton. While I was at it I whipped up some coordinating burp clothes. 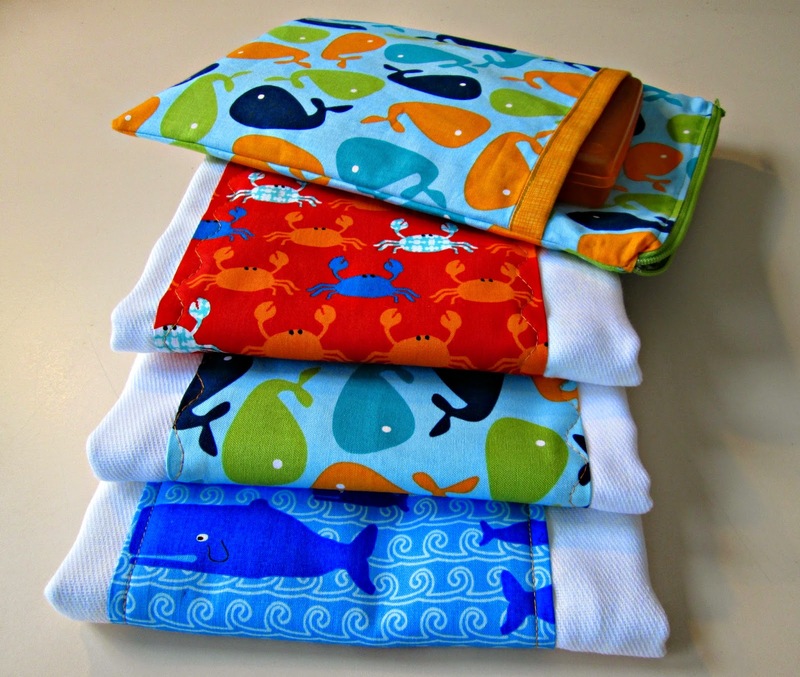 These OsoCozy diapers are much nicer than the Gerber cloth diapers and are perfect for gifting. So adorable! I love the free motion on the burp cloths. What an amazing gift! This is adorable!!! I was just looking at this and wondering how I missed it and then saw the date- oh right, I was having a baby! Thanks for sharing it! I'm definitely going to attempt it! The Himalaya wet wipe tissues are ideal for babies given its soft material, Aloe Vera and lotus conditioning agents that are not just gentle on the baby's skin but also keep it bacteria free.